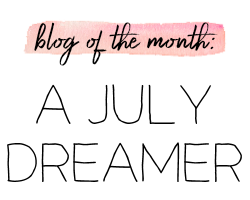 If you read my post on my 2017 goals, you'll know that one of them is to spend a little more one-on-one time with my skin. I don't have bad skin, I just don't always treat it right. 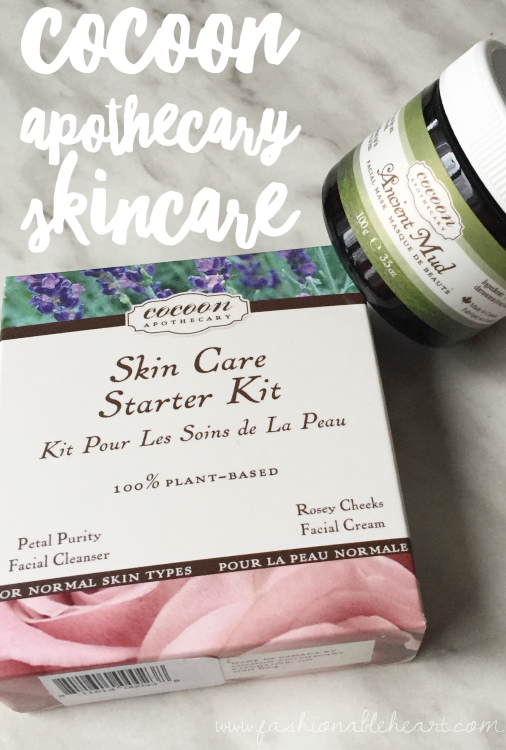 For the past month, I've had the opportunity to try a few products by Cocoon Apothecary. I'm reviewing the Starter Kit and the Ancient Mud facial mask. First, I'd like to give a little insight to the brand. Cocoon Apothecary is a Canadian brand based out of Kitchener, ON that has been going since 2004. All items are plant-based, organic, and vegan. The best part is that they are formulated to help sensitive skin, which is one of my biggest problem areas with a lot of skincare products. Because everything is made in small batches, you're always getting a fresh bottle or jar. Here's what I think of everything! 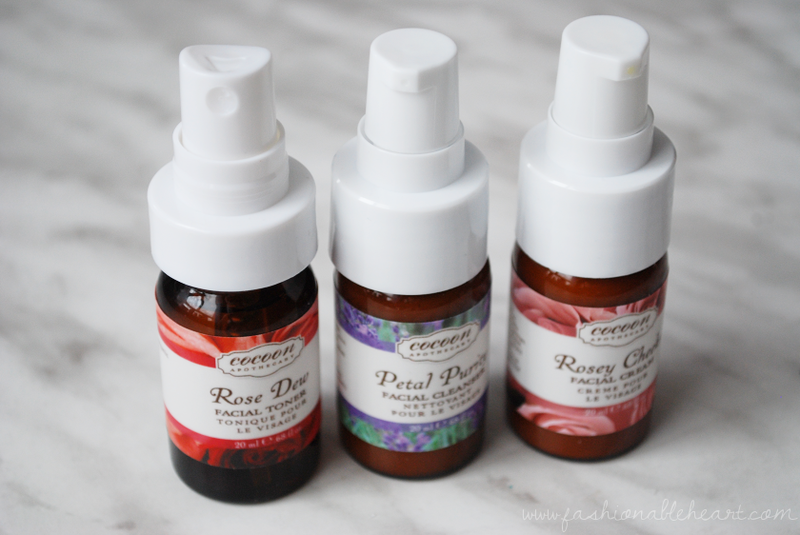 Rose Dew Facial Toner - These are nice glass bottles, so I have to say I'm impressed. Even better that it has a spray applicator. I don't always reach for toners, but this one is nice. It doesn't dry out my skin or make it feel tight. And the rose scent isn't overwhelming. Petal Purity Facial Cleanser - The squirt applicator works nicely and doesn't dispense too much. What I really like about this is that you can apply it to dry or wet skin and just rinse it off. I mean, if you're truly lazy and want to skip wetting the skin first sometimes (**cough** like me **cough**). The formula is very gentle. 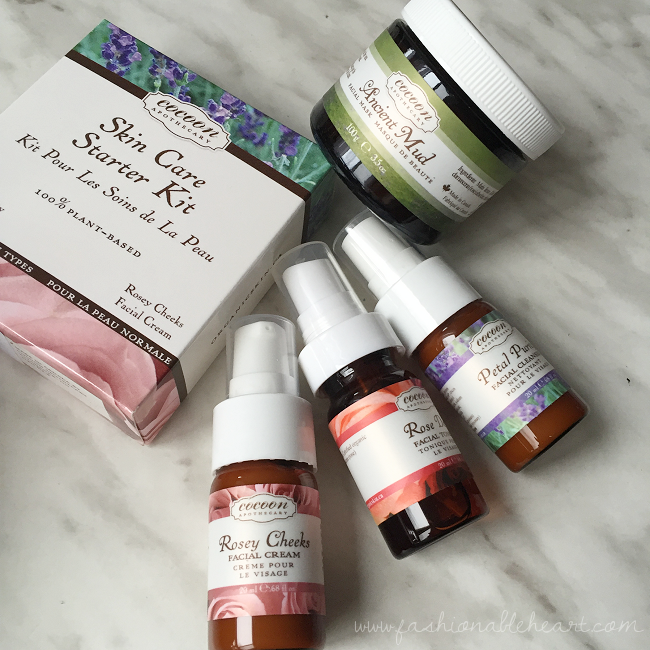 Rosey Cheeks Facial Creme - I do like this one, I'm just not as big of a fan of the scent. This one smells a little rosier to me than the others. I'm not too big on floral scents in the first place, so it bothers me a little upon application but the scent does not last long as it sinks into the skin. The formula is not greasy and melts into the skin. It's thick, so a little goes a long way. Overall, I think this kit is a great way to experience a few products from the brand at one time. These would also be perfect for travel! My skin does not have a negative reaction to these and it does not feel as dry during the day. Pretty happy with my experience! 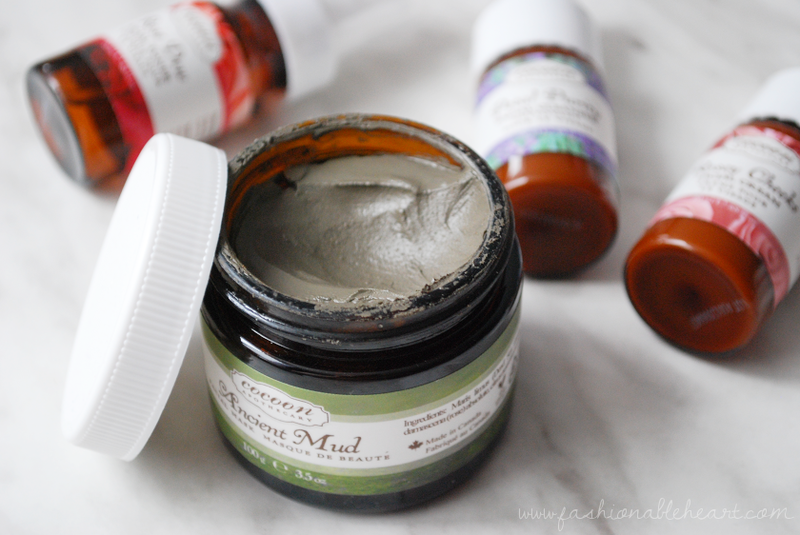 I love a good mud mask and this is one of the good ones. It's super thick and you do not need a lot for one application. The scent is a little strong for me, but it is tolerable. 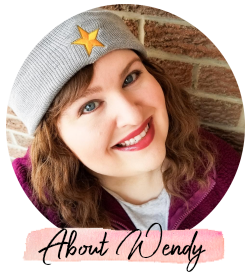 It is not recommended for highly sensitive skin and while my skin is pretty sensitive, I only noticed a bit of redness that did not last that long. It doesn't take long to dry. I've been putting it on before I get in the shower and then rinsing it off before I get out. They say once a week and I think that is really all you need! It's a pretty powerful mask. Hands down, this is one of the best masks that I have tried in a long time. No breakouts, little redness, and fresh soft skin afterward. **These items were provided to me for my honest review and feedback. All pictures and thoughts are my own. There are no affiliate links in this post.